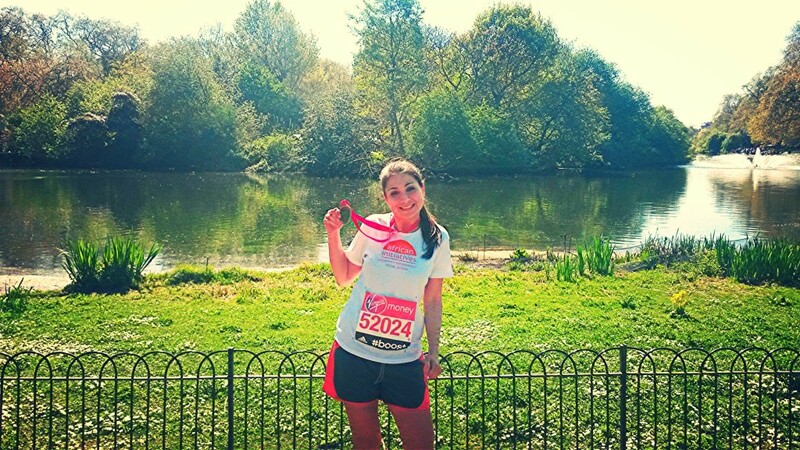 Sunday 13th of April saw over 30,000 runners take to the streets to mark the 34th anniversary of the London Marathon. One of the runners was Mina Roussenova, a physics Research Assistant from Bristol who chose to fundraise for African Initiatives after being inspired by the work the organisation does regarding girls’ education, women’s rights, health education, land rights and sustainable livelihoods. Mina’s most successful fundraising method was to ask people directly, “A personal message is always more heartfelt” she said. Mina created a Facebook page with a link to her Just Giving page, through this the majority of her funds were raised. There was also a bake sale at her work where she raised £347! Mina exceeded her initial fundraising target of £2000 and instead reached £2347.91, which she hopes to continue raising over the next few months. Looking back on the whole experience of training, fundraising and the run itself Mina said: “I had a fantastic race and I am extremely grateful to African Initiatives for giving me this unique opportunity”. We would also like to say a massive thank you back to Mina for the amazing work she has done! Since the marathon started in 1981, over £600 million has been raised for charitable causes. We can’t be grateful enough for Mina choosing to fundraise for African Initiatives. All of the money raised will impact and change the lives of individuals and communities that African Initiatives work with.